Its production process takes place just in Vicenza province area, in the zone surrounded by “Piccole Dolomiti”, “Altopiano di Asiago” and “Colli Berici”. Soprèssa Vicentina PDO is characterised by the deep and stable connection with its territory. 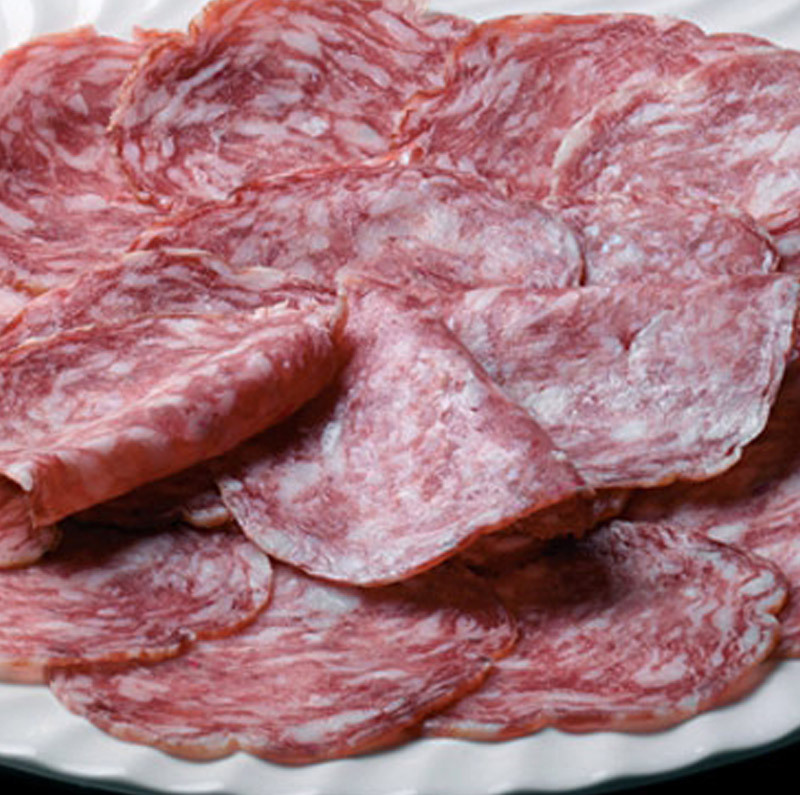 This connection is testified by this cold cut central role in Vicenza gastronomic traditions, in fact, Soprèssa is among the ingredients of numerous recipes. In 1862 price lists given off by the Vicenza Chamber of Commerce pointed out the distinction between salami and soppressa. For Soprèssa Vicentina PDO the finest pork meat cuts are used: hams, shoulder, neck, belly, throat fat, and loin. These meats are processed with little salt and natural flavouring such as pepper, cinnamon, cloves, nutmegs, rosemary and, sometimes, garlic. This paste is put in natural casings. Draining and drying stages follow. The seasoning of at least 60 days and the dry and ventilated give this cold cut the characteristic sweet and delicate taste. Outside, the product is cylindrical. When cut, the slice is rosy, tending to red, slightly opaque and both fat and lean parts have a big grinding texture. It’s perfect when matched with vegetables in oil and “pan biscotto”. Another traditional preparation is the grilled slice. The name comes from the use of “soppressare”: grinding with mezzaluna knife pork meat before put it in wooden funnels. The ancient tradition prescribes the pig has to be feed with chestnut and potatoes. Since more or less fourty years ago, in Valli del Pasubio, a popular celebration dedicated to this product takes place. 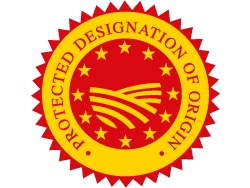 Protected Denomination of Origin (PDO) recognized under Reg. ne EU Reg.to CE n. 492 of 18.03.2003 GUCE L. 73 del 19.03.2003.